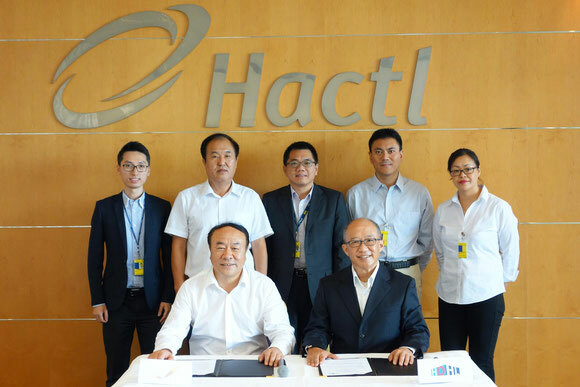 The development unit of Hong Kong’s cargo handler, HACTL, HACTL Development Holdings Ltd (HDHL) has entered into a strategic partnership with Liaoning Airport Management Group Co., Ltd – the owner of Shenyang Taoxian International Airport in northeast China – to develop the airport into a major regional cargo hub. Signing ceremony by Liaoning Airport chairman Wang De Jia (left) and HDHL managing director Tony Cho. Although specific plans are yet to be agreed between the parties, Shenyang is known to be targeting the development of cool chain and pharma traffic. In a statement, the two parties said that Shenyang Airport will devote its initial attention to market analysis, with any facility development targeted within next few years. HDHL is expected to fulfill a consultancy role, providing guidance on design, construction and operation of new facilities. Airlines, China Eastern Airlines and Spring Airlines, while China Postal Airlines and SF Airlines operate scheduled freighter services. 2015 cargo throughput was 142,000 tonnes - up 2.7% on 2014.